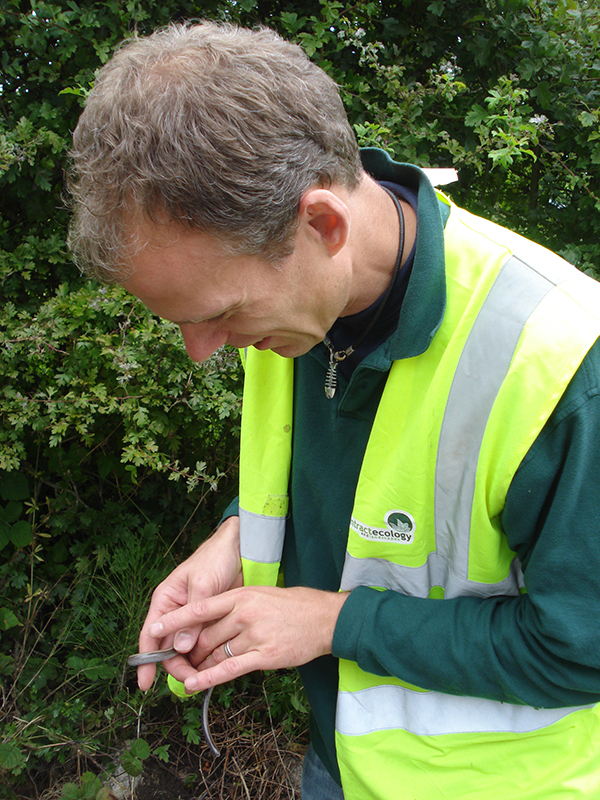 We undertake displacement of water voles, encouraging relocation away from your working area. We use high strim and low strim vegetation clearance techniques. Utilising manual brush cutting, automated finger bar mower or flail options. 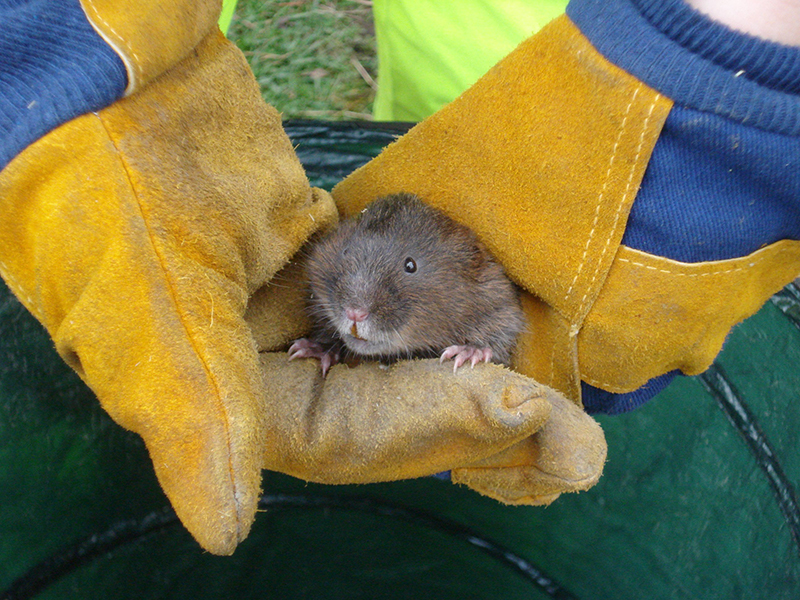 We can also supply and install water vole soft release pens for water vole trapping and release programmes. Along with water vole exclusion fencing, ditch creation and aquatic planting for water vole habitat creation and compensation. 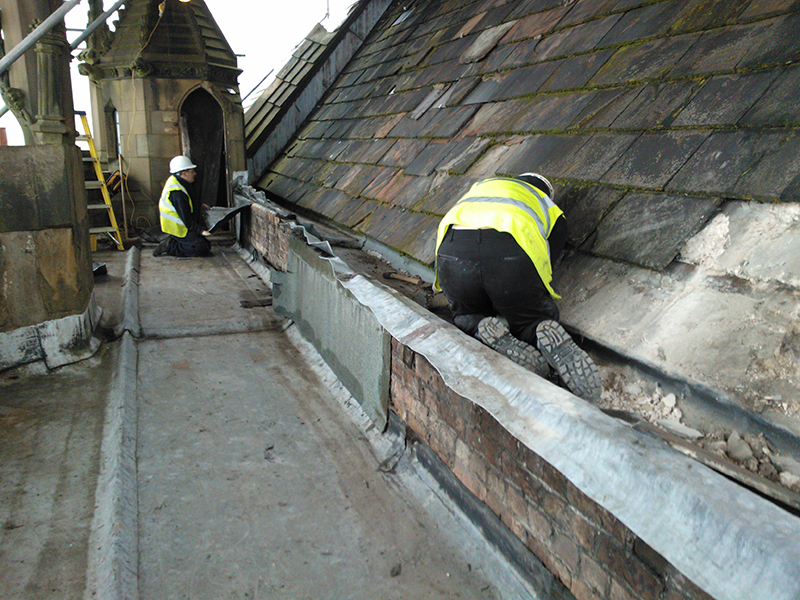 Right kit for the job: A sound working platform is often needed for the right approach. We own a 4 man utility boat for difficult to access aquatic environments. 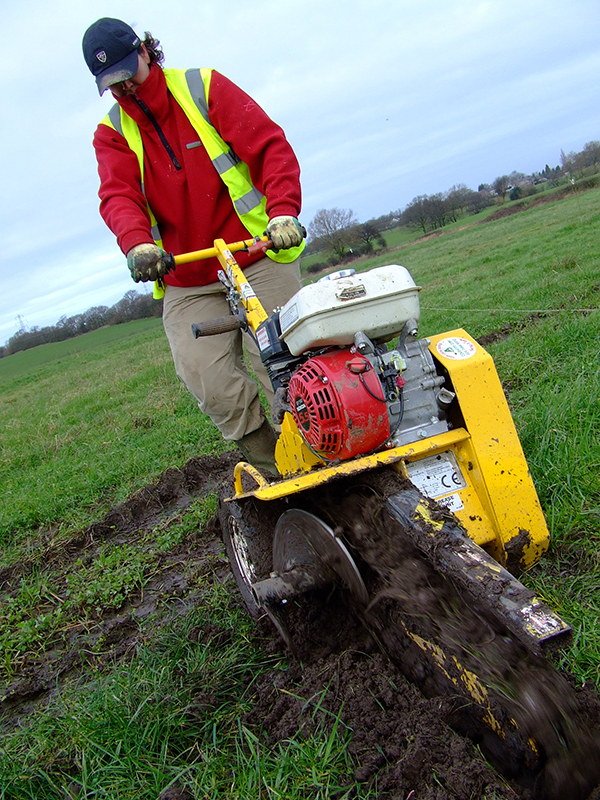 Perfect for in channel vegetation clearance and removal of arisings or large scale aquatic planting tasks. 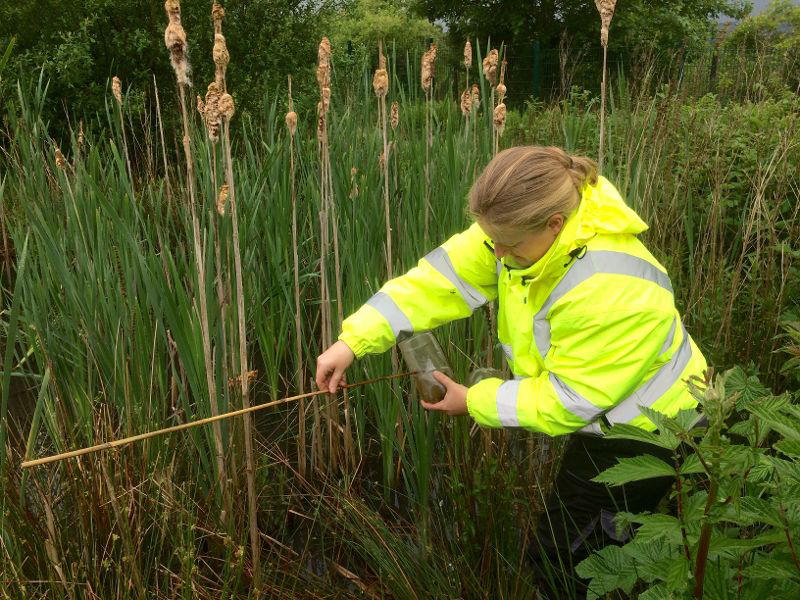 Our expertise in water vole mitigation: Our operatives are trained ecologists and are experienced in handling water voles should the need arise. Water vole displacement is good for small sites as a proportionate approach. Where no trapping is required and fewer animals are directly impacted. 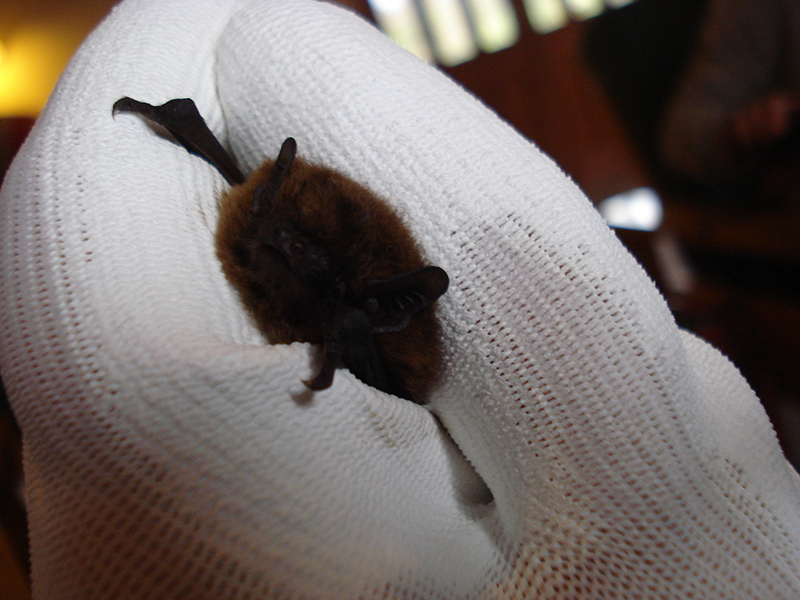 It can be more cost-effective than trapping. This approach is time sensitive: Summer is not a good time to attempt the displacement technique as the females are underground with their young. Book us for this task in early Spring. 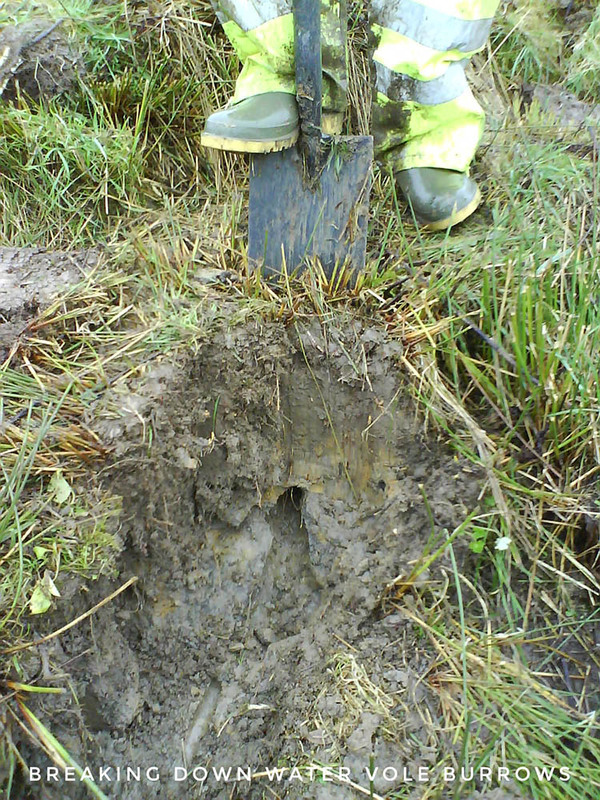 We are experienced in breaking down water vole burrows both by hand and mechanically. It is always preferable to excavate burrows by hand and our team are experienced in undertaking this careful procedure, ensuring the burrow is fully traced at all stages of its destruction and that no animals are present. 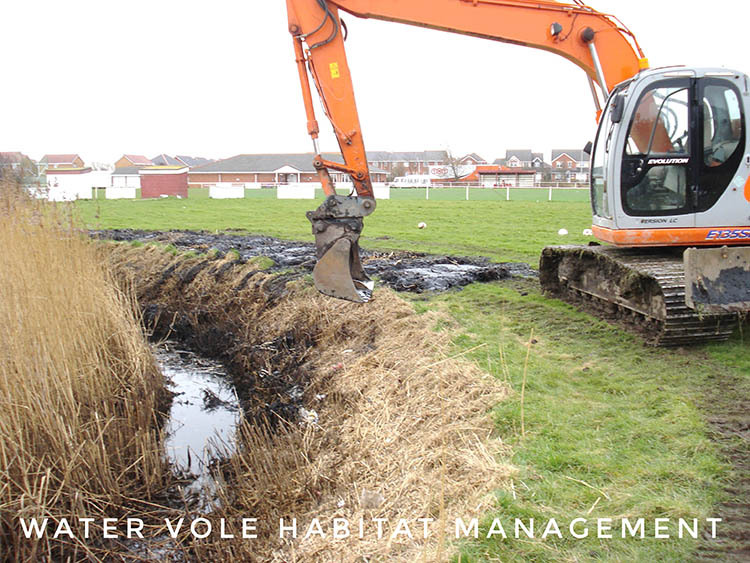 Water vole habitat enhancement can be realized through sensitive management. We can undertake bank reprofiling and supplementary aquatic and bankside planting including installation of pre-planted coir pallets and coir rolls and native plug plants. We also offer non-chemical solutions to scrub encroachment which can lead to over shading of water vole habitat. 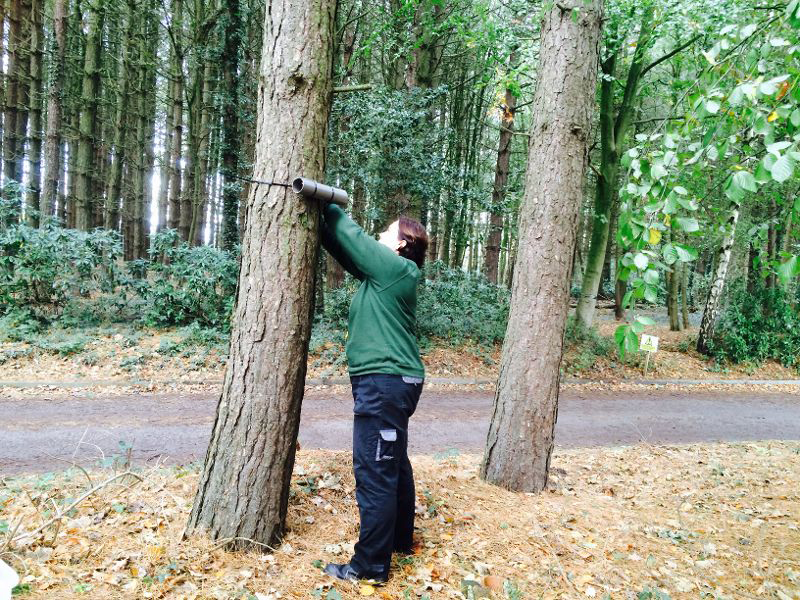 Click here for more info on our sapling removal services. Water vole receptor site creation including construction of water vole holding pens for soft release at receptor sites in water vole translocation / relocation schemes. We offer cost-effective solutions for speedy vegetation establishment by reusing of materials from the donor site through reed and rush rhizome translocation. Or increase the diversity of cover and foraging opportunity with wildflower turf. What is water vole fencing used for? It is used to exclude or contain water voles within a particular area. This may be required where a road crossing or culvert is to be constructed, or when reintroducing the species at a new site. 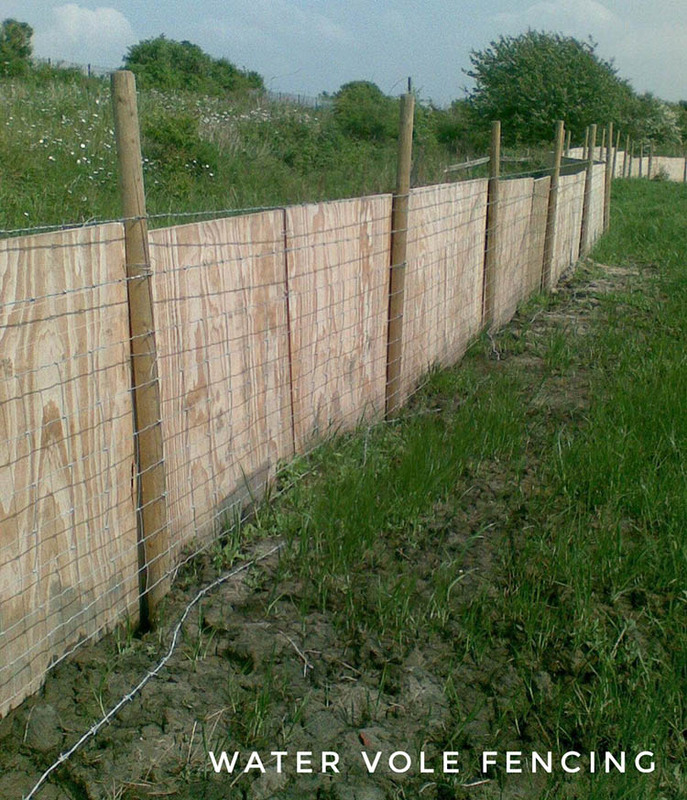 Contract Ecology Ltd offer water vole fencing in a choice of materials including traditional 25mm marine plywood or our 100% recyclable anti climb 6mm HDPE solid sheet panels. Wooden Water Vole Fencing: A traditional material, which has long been used for the exclusion and containment of water voles. A popular choice for long term exclusion projects. 25mm thick marine grade exterior ply sourced from ethical and sustainable sources. HDPE Water Vole Fencing: Similar material to our permanent amphibian and reptile fencing, modified during manufacture to offer increased resistance and height making it suitable for water vole exclusion. Made from 6mm HDPE and fully recyclable. Specially treated against long term UV decomposition and UV guaranteed for 5 years. Our HDPE water vole exclusion fencing is made in the UK from recycled (re-granulated) HDPE. Two height options are available: 1700mm x 1560mm and 1700 x 2400mm. These solid panels can be supported using treated timber or plastic lumber posts for increased durability. *Ensure compliance with the legislative protection afforded to water voles. 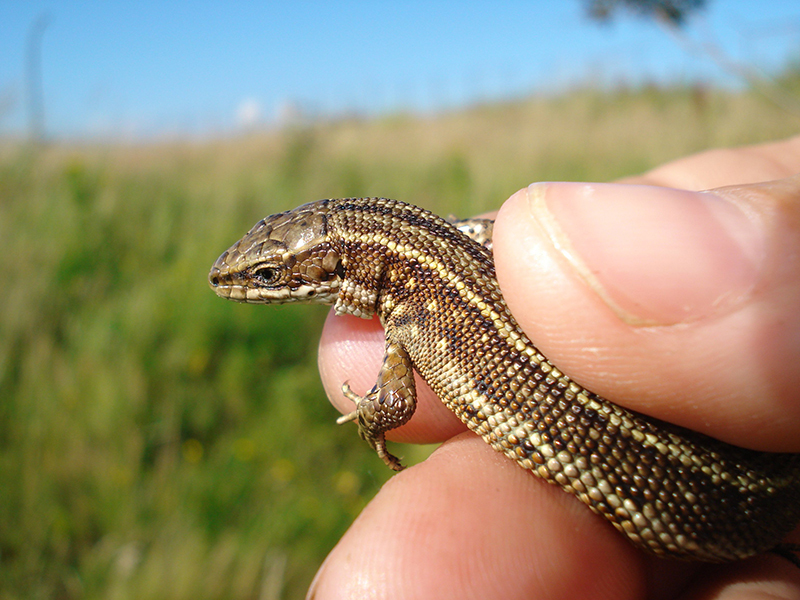 A licence may be required to undertake mitigation works in relation to this species.